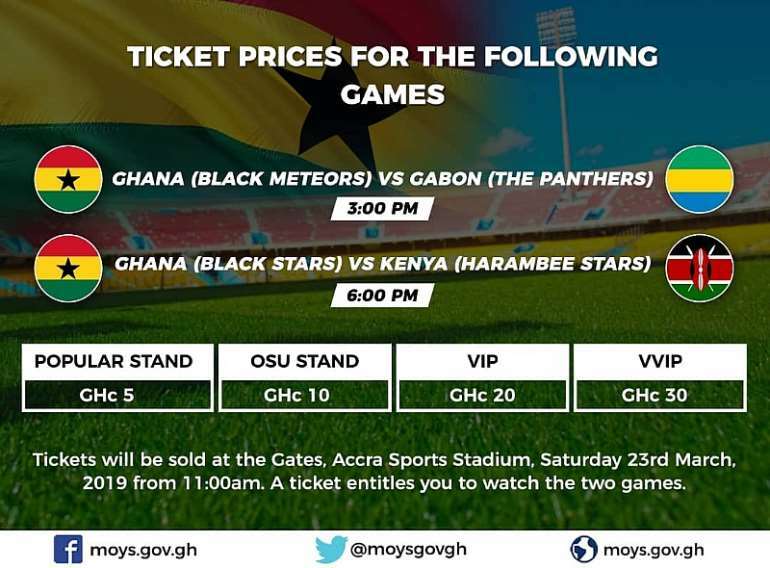 The ticket prices for the Black Stars of Ghana and Harambee Stars of Kenya clash has been revealed. 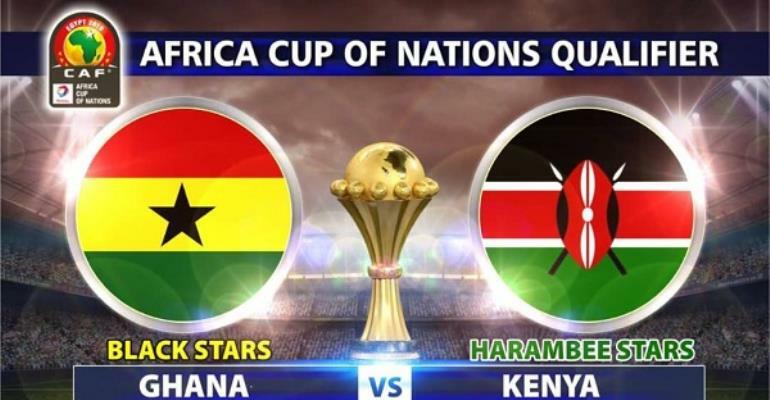 Ghana will welcome Kenya to the Accra Sports Stadium for their Africa Cup of Nations qualifier Saturday, March 23 at 6:00 pm. Both teams have already booked a place in Egypt but Kwesi Appiah and his will be hoping to beat the Harambee Stars after losing the first leg in Kasarani by a lone goal in September last year. Before the Senior National Team match, the Black Meteors will welcome Gabon at the same venue in the first leg of the U-23 Africa Nations Cup qualifiers. A ticket for Popular stand goes GHC 5, OSU Stand GHC10 while VIP and VVIP go for GHC 20 and 30 respectively. Kenya is leading with 7 points in Group F with the Black Stars on 6 points. The Harambee Stars are expected to arrive in Ghana today. A purchased ticket entitles you to view both of the matches.